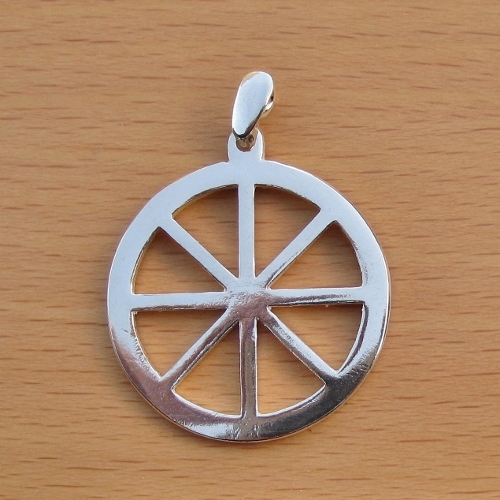 Icthus means fish in Greek and is spelt IXOYE. Icthus is also an acronym made up with the initials of the Greek words: “Jesus Christ, God’s Son, Savior”. 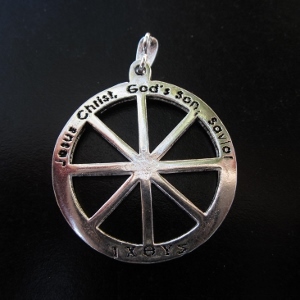 Like the fish the Icthus Wheel was used by early Christians as a secret symbol to mark meeting places or to distinguish the faithful. It spells Icthus in Greek. 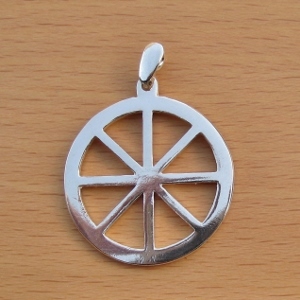 This solid sterling silver pendant has a diameter of 2.5cm.